Thee past few years in popular culture have been filled with revivals of past, classic movies. From new perspectives on traditional princess tales, to modern takes on outdated story lines, film remakes have perpetuated the cinemas. As of this December, the world will be re-introduced to the galactic adventures of the Star Wars saga. Earlier this year, director J.J. Abrams declared that he would be creating a continuation of the 1977 series, and the time has now come for this statement to actualize. On December 18, 2015, the next installment of the Star Wars series is set to be released. Star Wars: Episode VII, The Force Awakens, will be the seventh movie in the Star Wars series. The Hopkins community is anxiously awaiting the release of this movie. 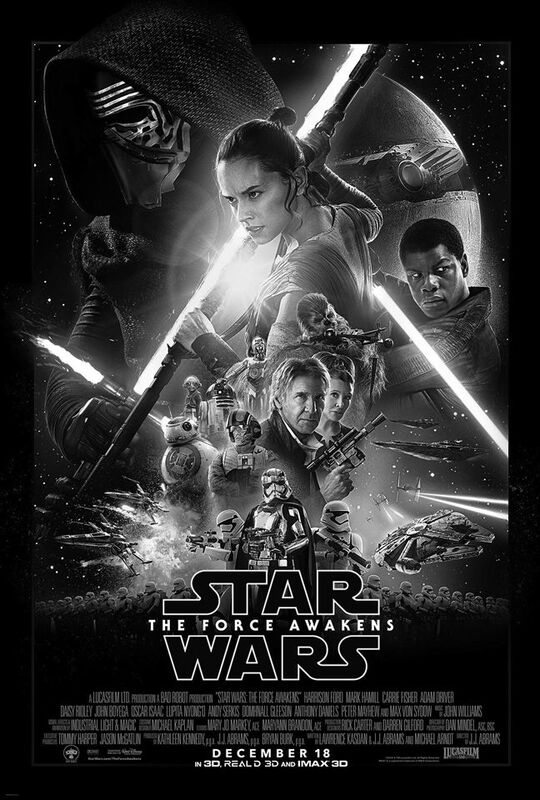 The Force Awakens is set thirty years after the events in Return of the Jedi (the sixth installment). Original characters including Luke Skywalker (Mark Hamill), Hans Solo (Harrison Ford), and Princess Leia (Carrie Fisher) will be resurrected. Even Chewbacca and R2-D2 will be making a reappearance in the upcoming film. New characters will also be introduced into the plot played by Daisy Ridley and Gwendoline Christie. Choosing rookie actors is not foreign to the Star Wars series. Ford, Hamill, and Fisher were unknown before they were cast in A New Hope (the fourth installment). Star Wars blasted them into stardom. “The cast is comprised of several young up-and-coming actors looking for a great debut and I have a feeling they will make a huge impact on the viewing audiences. I am especially delighted that J.J. Abrams did not fill the cast members with hugely-popular movie stars, as this would take away from the plot and scheme of the movie,” Matt Stevenson ’19 said. Star Wars is a film that has been passed down through the generations. When the first film A New Hope was released in May of 1977, an American classic was born. Loyal fans watched the next two movies with excitement and curiosity. Star Wars introduced revolutionary technology to the world of movie making. “To me, Star Wars is to my generation what the western was to my parents’ generation,” Hopkins history teacher and head varsity football coach Timothy Phipps said. When Revenge of the Sith (the third installment, but sixth movie produced) was released in 2005, the Star Wars cult was left wondering if another film would be made. Questions about the casting of a new movie, the plot line, and time period lingered. “I think it’s going to keep the similar themes, good versus evil, the struggle to do the right thing, but I think it’s going to be presented in a way that is more appealing to a wider audience than in the past,” Phipps said. Although fans are hoping that The Force Awakens will live up to these high expectations, they also realize that a new director and cast may change the series. “I’m definitely going to see Episode 7. I’m hoping for the movie to be at least as good as Episode 4 was, but I’m also ready for a complete train wreck,” Kenny Lu ’19 said.